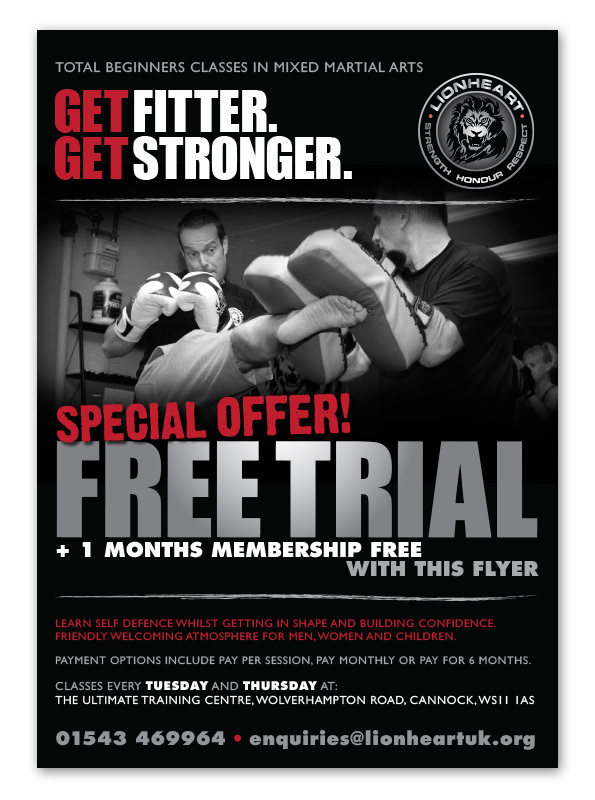 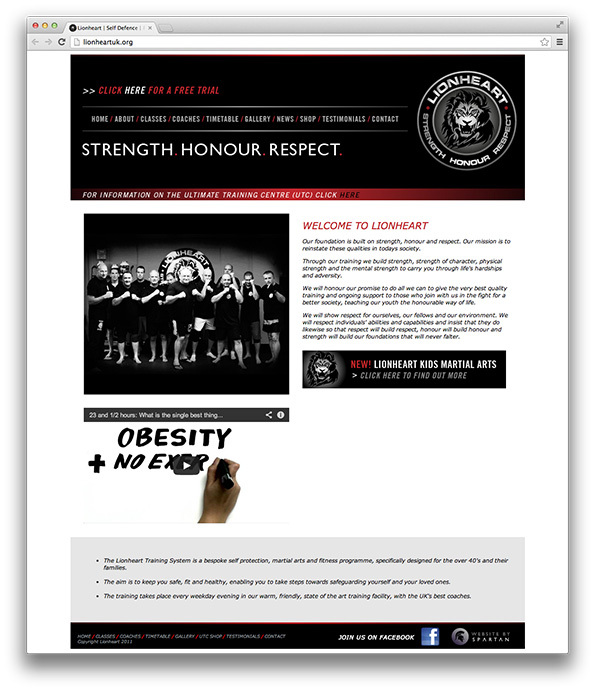 Lionheart is fitness, strength and self protection training for the over 40's, based in Cannock, Staffordshire. 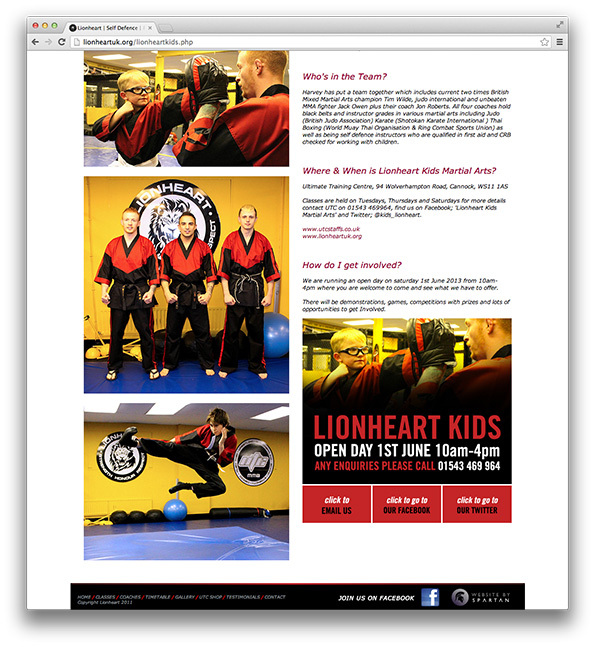 The Fitness Class needed a new website, and with a combination of martial arts and weights, the website needed to have a strong presence. 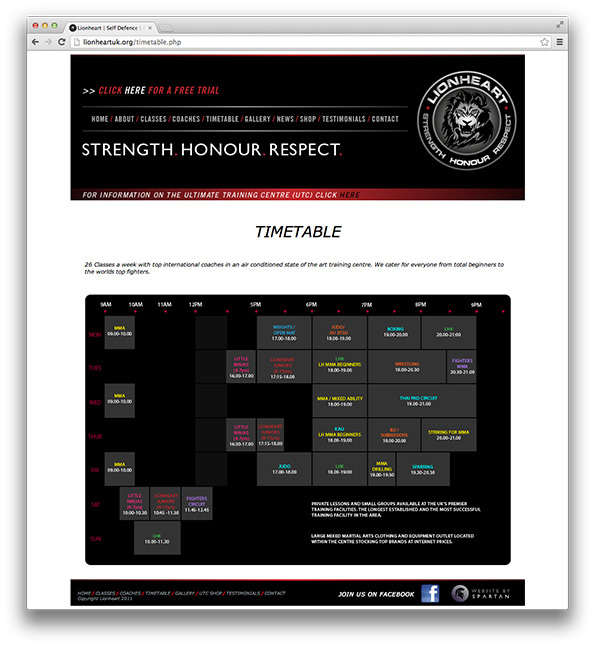 The contrast in colours with the black background makes the content and imagery stand out from the page. 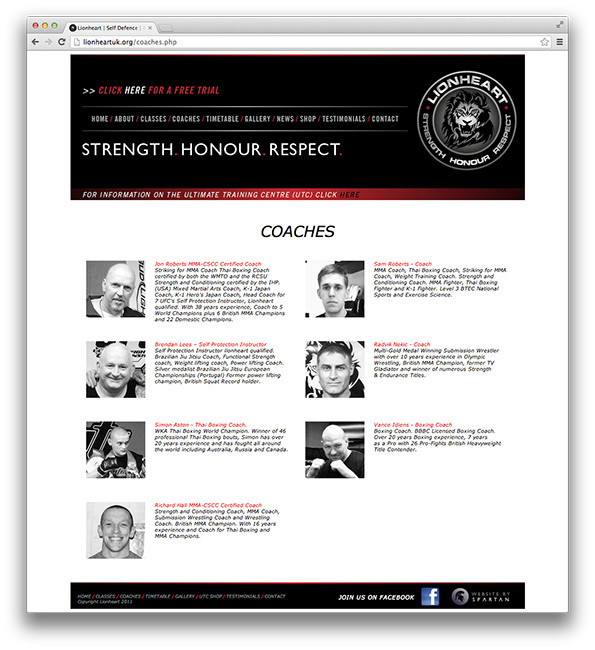 With a custom CMS system built so that they can edit the news section and upload photos to the gallery, the website is easily maintained.